Measuring 14cm in length, this innovative device incorporates a torch, lamp and flashing red LED’s for use as a warning signal. 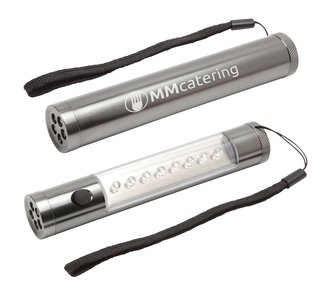 Made from tough yet lightweight Aluminium, this product includes a magnet on the base for easy attachment to a motor vehicle or any metal object. Batteries included.